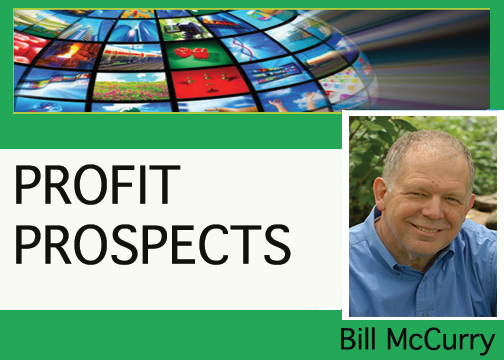 Home Bill McCurry Profit Prospects: Does Awakening in a Pool of Blood Equal Success? Profit Prospects: Does Awakening in a Pool of Blood Equal Success? 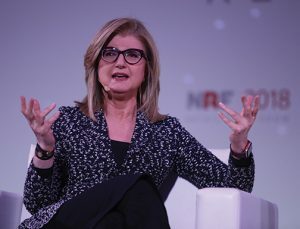 Arianna Huffington said it was a wake-up call when she collapsed in her office from exhaustion in 2007, breaking her cheekbone and adding blood to the office décor. She shared her story at the National Retail Federation’s (NRF) Big Show. She had to change. She implied she wasn’t really “successful” until she took control of her life. How many times have we heard the burnout scare stories? Talk to industry greats who have retired or moved into different jobs. They agree with these two statements: (1) You don’t know what stress is until you don’t have it; (2) Burnout is real but isn’t acknowledged until there’s a crisis (like Huffington collapsing). But we all have so much to do. We’re under so much pressure. How do we make time? Huffington referenced Amazon’s Jeff Bezos, who says he doesn’t make a lot of decisions, but the ones he does make are very important. The best value he can bring to Amazon shareholders is a good night’s sleep, so his decisions are the result of a fully functioning, decision-making process. That’s true for your business, too. Huffington remarked that most people know their phone’s battery level. If it’s below 15%, panic sets in while searching for a charging shrine where power can be restored to the electronic controller of our lives. She asked how many people have a vital sign that’s too high—blood pressure, cholesterol, etc.—but have shelved that concern to deal with it “later”? What keeps us from getting enough sleep? Researchers emphasize that looking at any screen—television, computer, phone—just before sleep is counterproductive. Our eyes/brains weren’t made for screens and can’t instantly shut down. So turn off screens 30 minutes before bed. Huffington cautioned for hygiene and rest, keep your phone and tablet out of your bedroom. Her phone has its own “bed” in another room. It can charge 10 phones/tablets and other devices overnight. Think about the destructive, questionable time you’re spending. Does it really help your decision-making process to have social media tell you someone got a better salad at lunch or a more exotic vacation? When did the time you invested online positively affect you or your business? Is your phone the first thing you look at in the morning? Instead, take the first few minutes to consider what you want to accomplish. Set your priorities without the world’s “noise.” You’re in control. Learn to refuse any request that won’t help you reach your goals. Critical thinking requires different perspectives. The Big Show brought more than 36,000 people to NYC’s Javits Convention Center—over 25% were international. It was an exposition of present and future ideas, accompanied by some wake-up calls to societal changes. The Student Program at NRF’s 2018 Big Show encouraged some 800 college students to talk about retail careers. They “worked the room” at a job fair where dozens of retailers extolled each company’s virtues, emphasizing why it merited the students’ interest. Brief conversations with enthusiastic young adults convinced me they are clear on their goals to share values with a corporation they believe in. They want to contribute, to make a difference. The quality of the job applicants blew me away. They were serious about a retail career. It was uplifting to observe. Many students were looking for intern positions. Do you feel uncomfortable handling your social media? Ask your local college/university about getting some help from marketing students. Your customer is accustomed to how other companies treat them. The new normal is rapidly becoming immediate response to social media inquiries, e-mail and chat requests for information. How can you handle this? Whether it’s marketing interns or your own existing employees, consider empowering them to support these marketing initiatives. Some owners are afraid to allow their employees to post on social media. The irony is that these same employees are constantly interacting with customers. They should already know how you want to communicate with the consumer. Retailers using employee apps report that employees read more, stay more up-to-date and respond quicker than with other forms of communication. More and more, employees are joining your firm as digital natives, trained to avoid bulletin boards and memos while treasuring what’s on their phone. Can you tap into this natural affinity or are you trying to change long-installed behavior? Decide today how you’ll take control so you won’t collapse on your floor. Arianna Huffington learned to take charge; you must do the same. Your team and family are counting on you.